Say Aloha to your new favorite shirt. 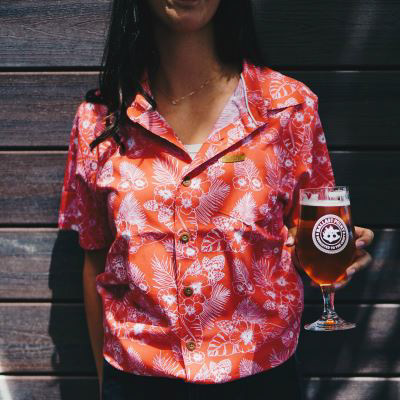 Combining hops and hibiscus, our Aloha shirts are high-quality button-ups made by Toes on the Nose, a coastal life clothing company out of Newport Beach. Designed by Ballast Point’s own Desiree Perez, they come in navy and red, featuring custom patches and buttons.